This journal publishes review articles, research reports, and essays related to traditional or ethnomedicine of all cultures. The American Journal of Chinese Studies is the official publication of the American Association for Chinese Studies and is published twice a year, in April and October. The language of publication is English. The Journal invites the submission of original articles on Taiwan, mainland China, and locales with significant Chinese population or influence in all disciplines of the social sciences and humanities. All manuscripts are refereed for acceptance, except for those commissioned on specific subjects within carefully prescribed parameters. Manuscripts, generally not to exceed 25 pages, should be typed and double-spaced. Footnotes are to be typed at the bottom of the text, with references at the end of the manuscript. For transliteration, the Wade-Giles System is required for information pertinent to the Republic of China and the Pinyin System for the People's Republic of China. For additional information on styling, consult The Chicago Manual of Style, which must be followed. Asia Major, Third Series (issued semi-annually), is published by the Institute of History and Philology of the Academia Sinica, Taiwan. It is a continuation of Asia Major, New Series. It covers all periods of Chinese history, literature, ideas, and culture in general. Included are the histories and cultures of other East and Central Asian peoples in their relations with China. The Beijing Review provides information on China's reform and opening and is published weekly. The Beijing Review is currently published in five languages, including English, French, German, Spanish and Japanese. It is distributed to more than 150 countries and regions. It focuses on contemporary China, including Hong Kong, Macau and Taiwan, covering the fields of politics, economics, society, geography, law, culture and international relations. 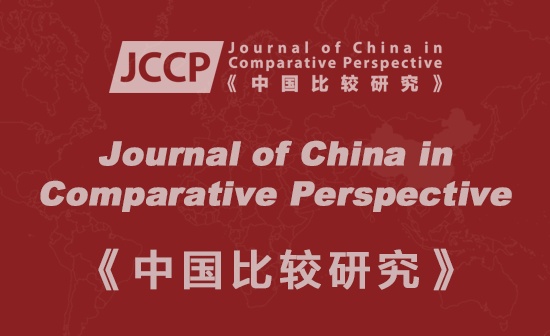 While established China scholars are the main target of CIJ, the editors hope the Journal will be of particular interest to new China scholars just beginning their careers. CIJ is published every March and September. China Focus is published by Princeton China Initiative, a nonprofit organization. Published monthly. is the only peer-reviewed bilingual journal for social scientific studies of China in the world, published quarterly in Jan, April, July and October in both print and electronic versions, by CCPN Global from 2014. 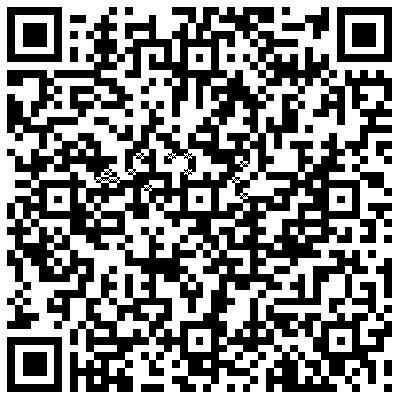 China Information is an English-language, refereed academic journal on contemporary China (articles not available on Internet). The journal is looking for China scholars interested in reviewing recent books. The China Journal is a refereed, scholarly publication that focuses on topics relating to China, Hong Kong and Taiwan since 1949, plus studies of the major issues that contribute to understanding of Communist Party history and contemporary events. The Journal is published twice yearly -- in January and July -- by the Contemporary China Centre at the Australian National University. China Perspectives is a cross-disciplinary and peer-reviewed journal on contemporary China established in 1994. It is published both in English and in French (under the name Perspectives Chinoises). It is the main academic journal on contemporary China published by a French institution (The CEFC or French Center for Research on contemporary China, a publicly funded research institute based in Hong Kong). The China Quarterly (ISSN 0009-4439) has publishes research on every aspect of modern China. China Report covers inter-related subject areas such as economics, history, international relations, law, politics and sociology. In addition to research articles, the journal carries review articles, book reviews and a documents section. The China Review is an annual publication of The Chinese University Press since 1990. The new journal is scheduled to come out twice a year in March and September; like its predecessor, it is a scholarly journal covering various disciplines of study on Greater China and its people, namely, domestic politics and international relations; society, business and economic development; modern history, the arts and cultural studies. The China Review welcomes the submission of high-quality research articles, research notes and book reviews dealing with the political, economic and social aspects of modern and contemporary China. Research article manuscripts should not be longer than 10,000 words in length. Research notes should normally be 3,000 words, and book reviews between 800 and 1,000 words. They should be submitted in electronic format with three typewritten hard copies, double-spaced, with footnotes grouped together at the end of the paper. The style of the text and footnotes should conform to those used in The Chicago Manual of Style (14th edition, 1993). The China Review does not accept manuscripts that have already been published or are being considered for publication elsewhere. Twice a year China Review International presents English language reviews of recently published China-related books and monographs from China, Taiwan, Hong Kong, Japan, Europe, the U.S., and elsewhere. It is intended for all those interested in Chinese culture and civilization, and enables the sinologist to keep abreast of cutting-edge scholarship in Chinese studies. China Rights Forum is the source for information about human rights issues relating to mainland China. Contributors include academics and activists, as well as politicians and observers, writing on a wide range of subjects, from philosophy to the right to education, from migrant workers to legal reform. Published quarterly. For more information please visit the Human Rights in China website. The goal of China Scholarship is to improve the quality of research in humanities and social sciences in China; promote the scholarly accomplishment of the Chinese speaking world; enhance the intellectual cohesiveness of Cultural China; and strengthen in-depth scholarly exchange between China and the rest of the world. It is our objective to make Chinese a working language for the international scholarly community, and to establish the contemporary reconstruction of Chinese culture in the global context. Published four times a year. Chinese Economic Trends provides data on the main aspects of the Chinese economy and analyses of specific economic events. Topics covered include budgets, monetary policy, exchange rate policy, prices, employment, consumer expenditure, production, wages, investment, and foreign trade, plus an appendix of major economic events of the preceding quarter. Published quarterly. Presents studies of ongoing developments in the Chinese economy. Articles by economists provide analysis of the functioning of the economy, the problems of reform, and debates over economic policy. Published six times a year by M.E. Sharpe. The Journal of Chinese Economic and Foreign Trade Studies (JCEFTS) negotiates China's unique position within the international economy, and its interaction across the globe. From a truly international perspective, the journal publishes both qualitative and quantitative research in all areas of Chinese business and foreign trade, technical economics, business environment and business strategy. For more information, please email collections@emeraldinsight.com or visit the Emerald Accounting, Finance & Economics eJournals Collection page. Translates documents that mark and illustrate the major overhaul of China's educational system. This journal presents educational and youth topics through thematic issues. Published by M.E. Sharpe six times a year. Offers unabridged translations of scholarly works and policy documents in the fields of politics and government originally published in China. Works from Japanese, Russian, and Taiwanese sources are also occasionally included. Published six times a year by M.E. Sharpe. Chinese Literature, founded in 1951, is a quarterly magazine published in English and French, presenting contemporary and classical writing, poetry, literary criticism and arts. For recent articles, please visit the Chinese Literature website. The journal publishes original research papers, review papers and short communications on almost every branch of basic and clinical medicine, pharmacology and traditional Chinese medicine, submitted from medical colleges throughout the PRC. The journal also features occasional supplements focusing on special professional fields. Published quarterly. Now known as the Journal of East Asian Science and Medicine, this annual journal examines Chinese science in both pre-modern and modern settings. Established in 1975 by Nathan Sivin, the journal is now edited by Hans Ulrich Vogel at the University of Tuebingen, Germany. From 1993 to 1998 the journal was edited by Benjamin Elman and was based at the University of California, Los Angeles. The Chinese Science website includes tables of contents for back issues. The contents of issues 11 and 12 are available on-line. The journal focuses on three regions of China-The People's Republic, Hong Kong, and Taiwan. The journal examines themes of social class and stratification, social movements, popular culture, newly emerging sub-cultures and social mores, marriage patterns and family structure, and ethnic minorities. Published four times a year by M.E. Sharpe. Chinese Studies in History is a journal that translates papers delivered at major Chinese conferences and those published in such journals as Lishi yanjitu (Studies in History), including materials from the Republican period. The journal identifies current trends in historical research in China and topics explored by Chinese historians. Published four times a year by M.E. Sharpe. Features translations of current writings on all aspects of philosophy, from theoretical essays on systems to studies of China's cultural and religious development, from interpretations of the Chinese classics to exegeses on Marxist thought. Published four times a year by M.E.Sharpe. Edited by regional experts, this anthology of contemporary Asian literature offers a broad selection of recent fiction, drama, and poetry using the best translations - many otherwise unavailable in English in North America. Focuses on contemporary literature from India, Nepal, Pakistan, Sri Lanka, Bangladesh, Indonesia, Malaysia, Singapore, the Philippines, China, Hong Kong, Taiwan, Korea, Japan, and Vietnam. This scholarly periodical includes in its scope the entire spectrum of contemporary politics and economics of China. The coverage is intended to deal with China, its political dynamics, economic policies, institutions and its future. The journal contains original articles. Topics include: foreign policy; domestic policy; treaties; monetary and fiscal policies; foreign economic aid; military policies; employment patterns; inflation news; security affairs; government; environment; elections; political parties and their activities; trade balance reports; energy policies; aging, pensions and insurance; interactions with international political and economic organizations; industrial policies; savings rates. 1997. Volume 1. $95. To order, please visit the Nova Science Publishing, Inc. website. Early China is published annually by the Society for the Study of Early China and the Institute of East Asian Studies, University of California, Berkeley. Published by The Early Medieval China Group, Incorporated. The journal was founded in 1994 with the purpose of advancing the understanding in all disciplines of the "Period of Disunity," and of developments during the later Han and Tang dynasties that are related to the era. The Harvard China Review (HCR) is jointly published by Harvard China Forum and Cambridge China Institute. Harvard China Forum is a graduate student organization based at Harvard University Graduate School of Arts and Sciences. By comprehensively and objectively introducing the nature and context of the transformation currently occurring in Greater China, the HCR seeks to enhance mutual understanding and cooperation between Greater China and the rest of the world, and to help accelerate the integration of this region into the international arena. The objectives of IJCCM are to establish an effective channel of communication between academic and research institutions, policy makers, government agencies and persons concerned with the complexities of Chinese culture, economics and management, among other topics. It also aims to promote and coordinate developments in the field of Chinese studies. JCLTA publishes articles in the areas of Chinese language pedagogy, Chinese linguistics and Chinese literature. The Journal of Chinese Medicine is an English language journal for professional and student level information on the entire field of Chinese medicine. Published three times a year by Carfax, the Journal of Contemporary China publishes theoretical and policy research as well as research notes and review articles. JSYS (ISSN 1059-3152) is an annual publication devoted to promoting scholarship in all disciplines related to the Sung (Song), Liao, Chin (Jin), Hsia (Xia), and Yuan dynasties in China. The journal for historians specializing in the Ming and Qing dynasties. Features new work from scholars in Europe, Japan, Taiwan, and the People's Republic of China. Ming Studies is a refereed journal concerned with scholarship on all aspects of Chinese society and culture from the 14th to the 17th century. It is published twice a year and features articles, book reviews, news of the field, and biographical material. It also publishes once a year listings of recently completed Ph.D. dissertations and dissertation projects related to the Ming. The editors of Modern China welcome articles based on original research; articles devoted to new interpretations, new questions, or new answers to old questions; and substantial review articles based on particular areas of scholarship. All substantial articles received are sent anonymously to two referees who are asked to respond within thirty days. Our target is to respond to authors within two months. Favorably evaluated articles are generally published six to twelve months after the final manuscript has been received. Modern Chinese Literature and Culture (MCLC), formerly Modern Chinese Literature (1984-1998), is a scholarly journal devoted to the literature and culture of twentieth century China, with China understood not in the narrow, political sense. The journal publishes themes on literature of all genres, film and television, popular culture, performance and visual art, print and material culture, etc.. Published six times a year. (MCLC), formerly Modern Chinese Literature (1984-1998), is a scholarly journal devoted to the literature and culture of twentieth century China, with China understood not in the narrow, political sense. The journal publishes themes on literature of all genres, film and television, popular culture, performance and visual art, print and material culture, etc. Published semi-annually by Brill, the first issue of Nan Nu came out in 1999. The journal publishes original studies relating to gender. Subjects include history, literature, linguistics, anthropology, archaeology, art, music, and law. The journal also publishes book reviews. The Oracle is a privately published (i.e., non-refereed) journal, although the contents are generally of an academic standard, devoted to all aspects of the Yi, including the history, text, cultural context, and so forth, both in China and elsewhere. Published approximately twice a year. The journal aims to provide an informed picture of social, political and economic developments in the People's Republic of China, Taiwan and Hong Kong. Published six times a year. This Chinese-English magazine of literature has been published since 1973. The website includes tables of contents and samples from past issues. Sino-Japanese Studies (ISJN 1041-8830), the continuation of Sino-Japanese Studies Newsletter, is published twice annually by the Sino-Japanese Studies Group. Its general purpose is broadly conceived as encouraging research and discussion in the interdisciplinary study of China and Japan together, irrespective of discipline or time period. Essays in SJS come from many different disciplines-literature, history, contemporary politics, art history, and the like-and will continue to do so, as long as contributions are received by the editor. A Chinese-English magazine that carries news reports about Taiwan. Studies in Modern Chinese History, an ongoing series of monographs, essay collections, and reference works published by Peter Lang Publishing, Inc., contains works of innovative scholarship on Chinese History over the 1839-1989 period. The Journal was started in March 1992, and is published semiannually in April and October by Taiwan Xuesheng Book Co. Published since 1964 by the Government Information Office of the Republic of China, formerly under the name Free China Journal. A journal with sections pertaining to national affairs, economy, politics, and arts & culture. The newly established Taiwan Journal of Religious Studies is now welcoming submissions of the following types of articles in the general field of religious studies. Two issues of the Journal will be published each year by Taiwan Association for Religious Studies. Xuecong, an annual blind-refereed journal of Chinese Studies published at the National University of Singapore, publishes papers on a wide range of subjects related to Chinese studies, including literature, history, philosophy, religion, linguistics, overseas Chinese, popular culture, cultural studies, gender studies, film studies, and translation. Published quarterly by the Art & Collection Group Ltd. In Taiwan and edited in Vancouver, Canada, this is the first English language journal that aims to address the artistic developments and theoretical concerns in contemporary Chinese art. This is an online journal in Chinese edited by Liu Xiangbo. Articles are presented in both GB and Big 5 coding.